I hope all of you have been as busy and happy as I have been this summer and fall. I do apologize for not posting on the blog a bit more, but life got in the way. And now I am almost done with winterizing outside, but I can’t quite break down the front flower pots yet. They are still so beautiful. 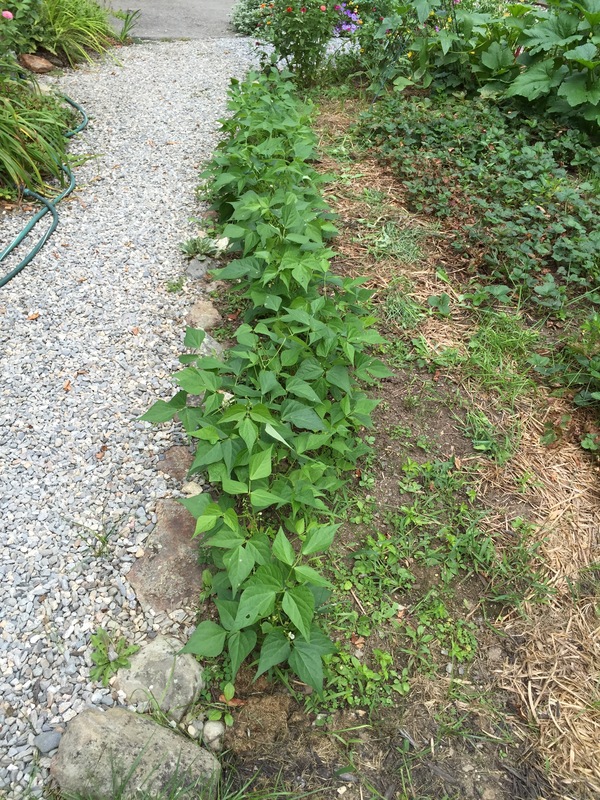 When granddaughter Talula was here in early August, she planted this row of beans for me: haricot vertes. These little guys are so delicious and freeze well. I picked another batch almost as large Sunday. 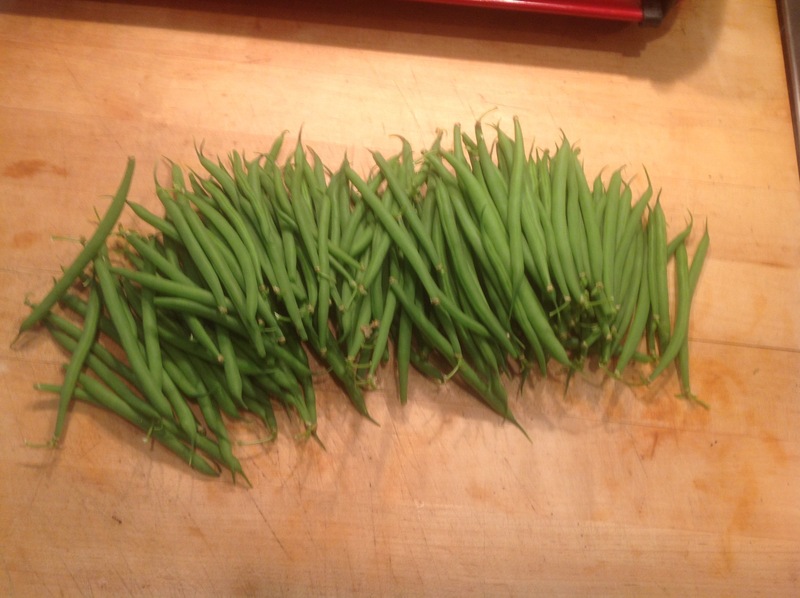 This bush bean will bloom and make beans until the frost stops them.